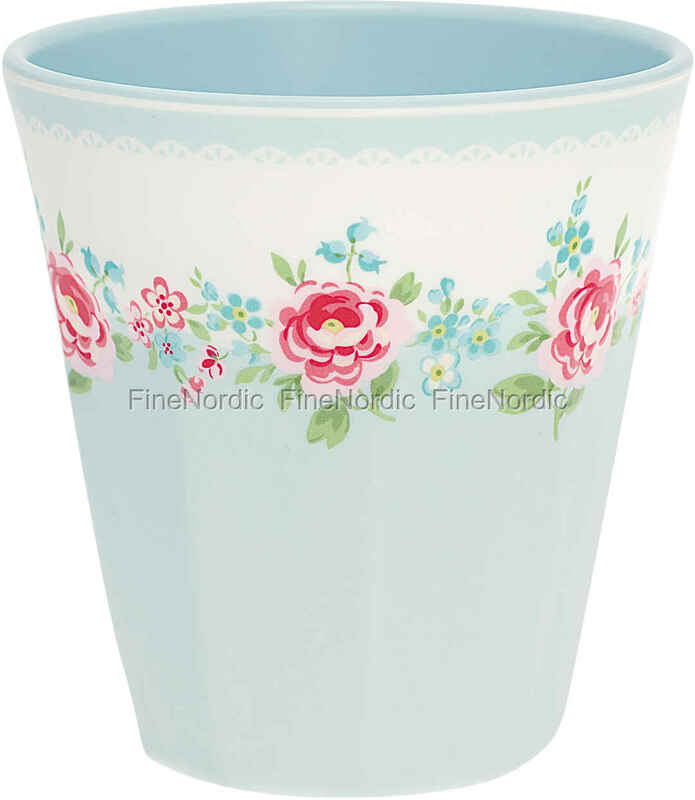 We really like GreenGate's melamine cup Meryl Pale Blue with its classic floral pattern and perfectly coordinated colors. Practical for the picnic, the camper or the garden party, because the cup not only looks good, but is also very solid. A whole 200 ml of your favorite drink fit into it and if it is dirty, it can be washed in the upper basket of the dishwasher. (Not in an industrial dishwasher) To be solid, good-looking and practical, that’s what makes us like this cup so much!